Hailing from the cornfields of the Midwest, E. S. Lapso is a young writer who focuses primarily on adult writings. He has a great enjoyment for romance, supernatural, and explicitly sexual themes. While the bulk of his writings are exclusively furry erotica, he has begun to expand out into paranormal and horror writing. His initials represent Elijah and Skylar, the two fennec foxes that make up his fursona within the furry fandom. The choice to have two characters to represent himself spawns from his identifying as a gender fluid individual. 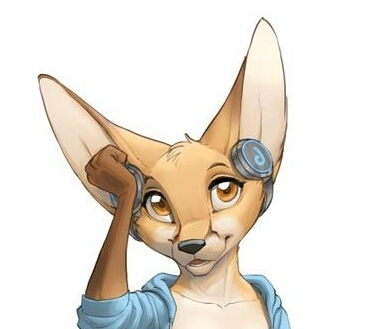 Thus, as he realized that there were days where a male fennec didn’t seem to properly represent him, Skylar joined as the twin sister of his original fursona. Most of E. S. Lapso’s writings can be found on his FA account as Lapso (note that they are almost exclusively adult in rating), but he was previously published in the first Will of the Alpha anthology. 12 Breton Street: A novella that details the journey of a Transgender rabbit as he makes his way through the rough road of transitioning from what he was to what he was meant to be. Storm Warning: A novel that details the life of a young otter as she learns that the only way she’s going to be genuinely happy in life is to learn to please herself instead of living up to the expectations of others.